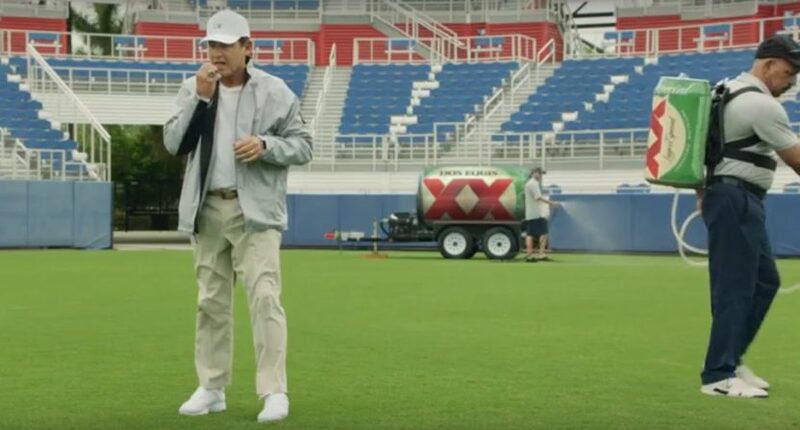 Dos Equis hires Les Miles as "Chief Lawn Officer," Steve Spurrier as "Head Beer Coach"
The ads are the latest in Dos Equis’ “Keep It Interesante” campaign, launched this past spring to give drinkers permission to embellish their stories to make for a more entertaining night out. That’s pretty fun, especially considering the long history of Miles eating grass. We’ll see how these campaigns play out for Dos Equis. But it’s certainly notable to see a couple of prominent former football coaches joining their ads.